There are some very interesting old buildings in this part of Beer Cart Lane. The trick in English towns is to look up above street level and see the upper stories and the roofing. 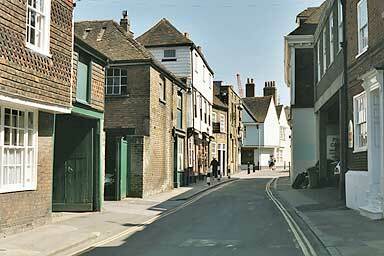 The white building on the left is the Chaucer Bookshop that specialises in rare books. Their catalogue is online so you can search for books that interest you.